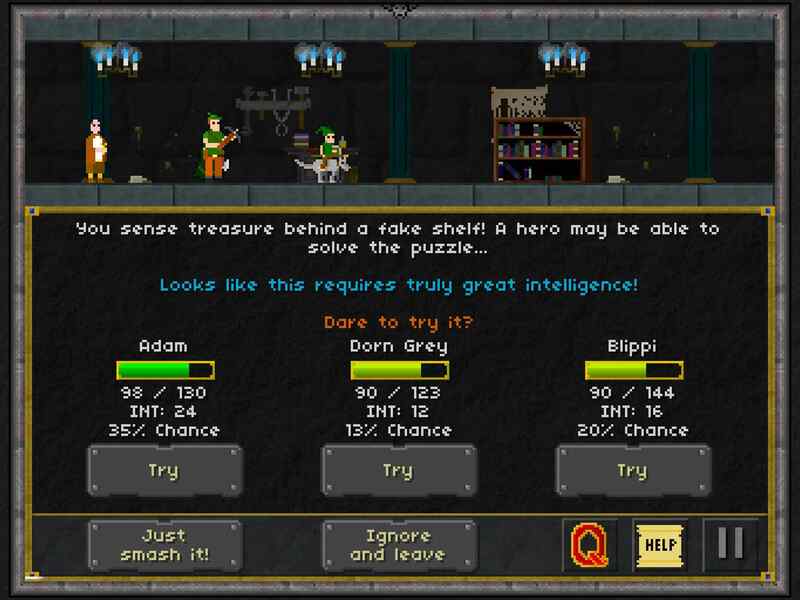 10 word description: Turn-based, 3-member party, roguelike RPG quest-em-up. 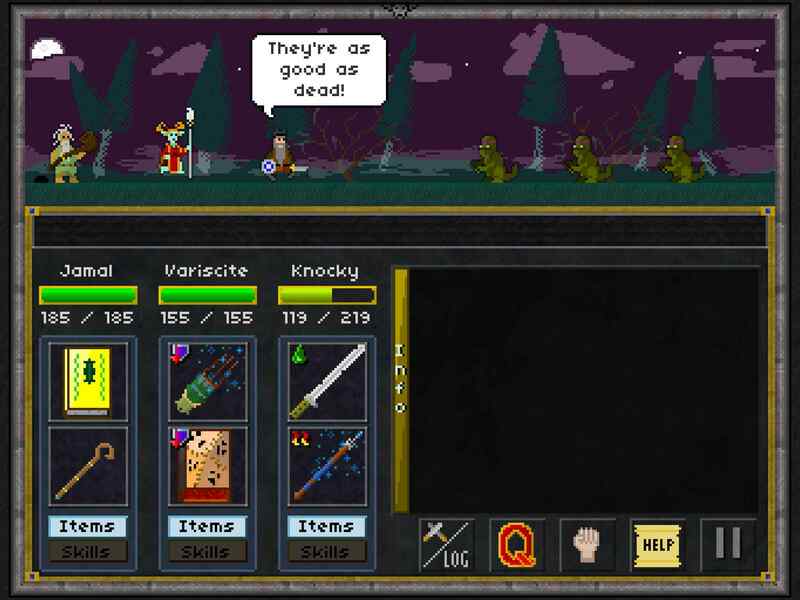 10 word review: Very retro, genuinely amusing, old skool addictive loot-tastic fun. 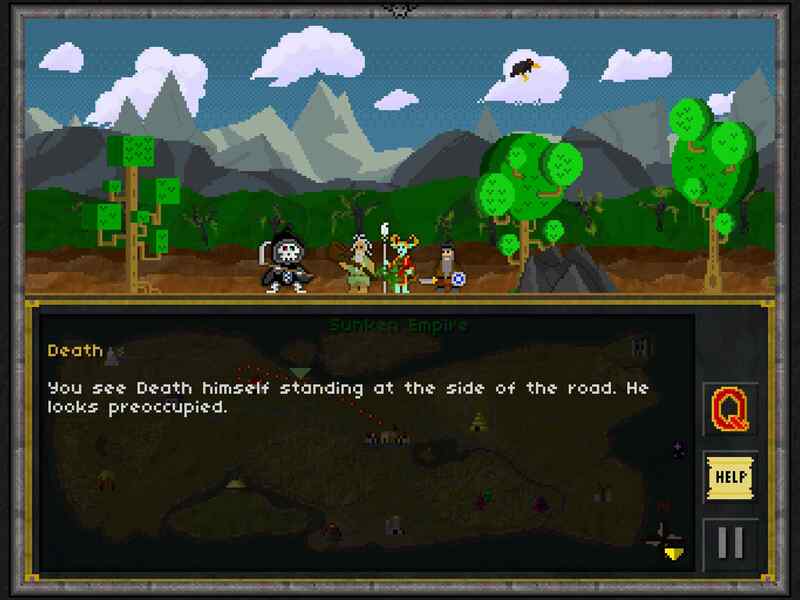 You will like this if you enjoy: Side-scrolling pixel graphics, turn-based RPGs with a ton of loot, loads of fights, big bad bosses and a sense of humour that consistently hits the mark. The good news: Very entertaining. Fun! Makes the tired clichés of pop culture and self referential humour feel surprisingly fresh and relevant. Controls are pretty much flawless (on iPad). Graphics are as retro-pixellated as the game title promises, and the animations are woefully inadequate in a so-crap-it’s-genuinely-funny way. Loot, levelling, healing, and fighting are all handled so effectively that it takes a while for you to actually acknowledge just how well it all works together. 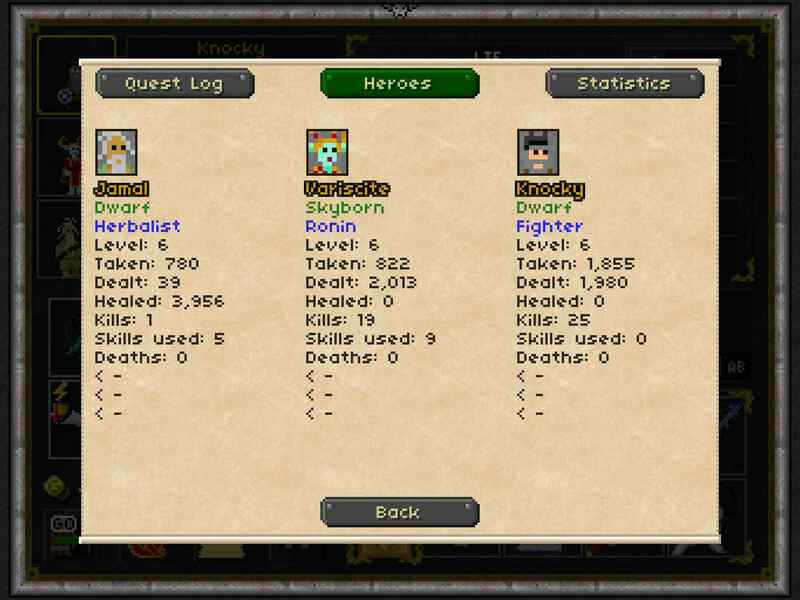 Loads of character classes, an almost infinite number of 3-man teams to choose. 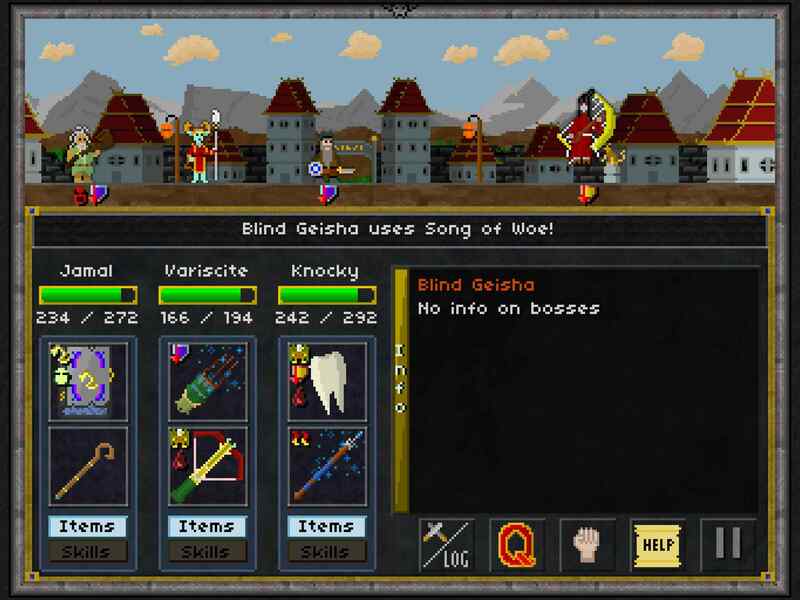 Lots of achievements and unlockable characters. No IAPs. No grinding. The bad news: Someone isn’t going to like the uber-retro graphics. Too bad, go play some freemium crap instead. Screen layout is a bit ‘could be better’ on iPhone 6, looking like something that happened a few years before widescreen was invented; I don’t care, I play it on my iPad. Arcadelife verdict: Here’s the game that made me take a short break from writing my latest Neo-Noir Vampire novel because I wanted to review it so badly. 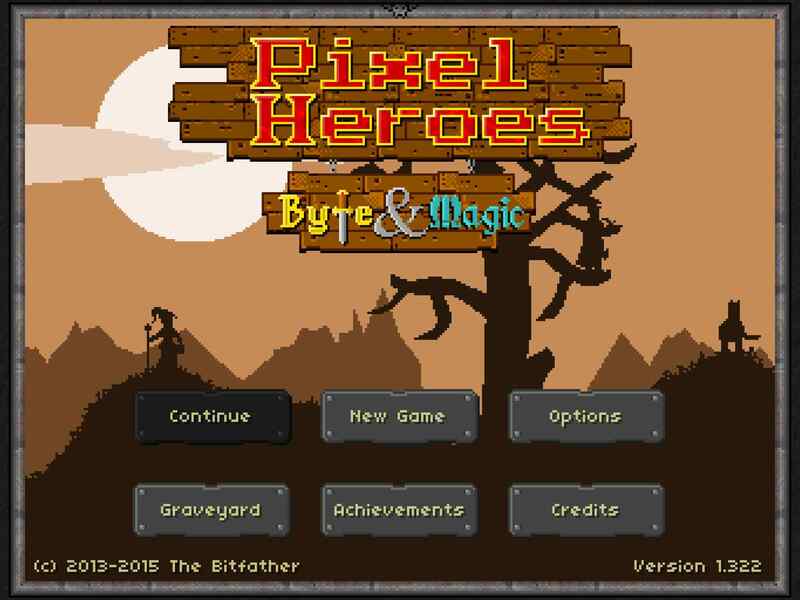 Pixel Heroes is fantastic and deserves to be played and played and played. There are so many stand-out moments, from the bizarre mid-journey encounters and the wonderfully mad bosses to the frequently hilariousrandom comments by the playable characters. Even the advert is genius. Just buy this game. You are currently browsing the ArcadeLife : Life vs Video Games blog archives for March, 2015.